The student poses with some of her instructions in Spain. 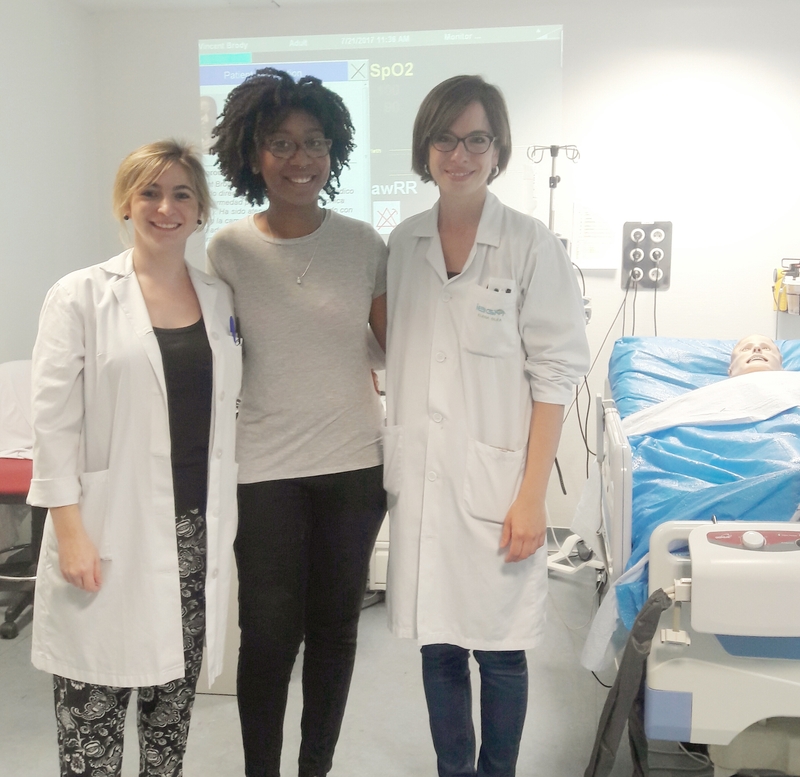 Spanish and nursing double major Chanel Thomas recently returned from Valladolid, Spain where she completed courses in Spanish language & culture and Spanish for health care. While there, she participated in lessons on medical terminology, the Spanish health care system, patient assessment, emergency management, basic nursing skills, and patient interventions – all in Spanish. Thomas said one of her favorite parts of the program was participating in clinical experiences at the Medical School at the University of Valladolid where she worked with nursing faculty and the Sim Man mannequin in a scenario that involved a patient with COPD and exasperated breathing. She was able to assess the “patient’s” heart rate and blood pressure and then implement the doctor’s orders. Nearing her graduation, Thomas said she realizes the importance of being able to effectively communicate with Spanish-speaking patients to develop rapport and comfort. After finishing her undergraduate degree, Chanel plans to go to graduate school for a Masters in Nursing with the professional goal of working with immigrant and refugee populations. For more information on this study abroad program, contact Dr. David Julseth at david.julseth@belmont.edu.